Easter happens early this year, and on that Sunday morning, my church—a progressive mainline Protestant congregation in a youthful Seattle neighborhood—will overflow with people of all ages. This story begins the Sunday after, when the crowd has thinned and visibly aged. It’s a story that begins with a message Seattleites have been hearing for over a decade: Organized religion in Seattle is dying. Since the early 2000s researchers have reported that the Pacific Northwest is home to the largest per capita sector listing “none” as its religious affiliation. If the None Zone doesn’t sound like a very promising place to study the future of Christianity, enter Christopher B. James: a University of Dubuque Theological Seminary professor who three years ago was looking to begin a PhD dissertation on the subject. Raised in Bothell, James was well familiar with Seattle’s perch at the leading edge of prevailing national trends: urbanization, tech culture, progressive values, and a “post-Christian” profile. Further, the Northwest lacked a historically dominant religious presence, like the Baptists of the Deep South—making the Northwest a kind of religious tabula rasa. So he spent 2013 and 2014 researching Christian churches that had arisen in Seattle since 2001. Between spin-offs, branches of multisite churches, and, later, independents that took over the Mars Hill properties after its collapse, James knew there was action here. (A 2015 real estate study would find Seattle to have the second-highest number of religious institutions per capita in the nation.) But what he found was a whopping 105 new churches. In “post-Christian” Seattle. Stranger still, the “post-Christian” was the reason. “Seattle’s secular, non-Christian reputation ignited evangelicals, who have inherited the missionary messages,” now Dr. James theorizes. “In some ways their identity thrives on a sense of embattlement.” What better battleground than the None Zone? James found four categories of new churches here: one composed of creative spin-offs from progressive mainline congregations, one conservative group forefronting evangelism a la Mars Hill, another conservative group of predominantly nonwhite Pentecostals and charismatics who focus on spirituality of worship, and finally a group spanning the theological spectrum and bringing church to neighborhood Third Places. 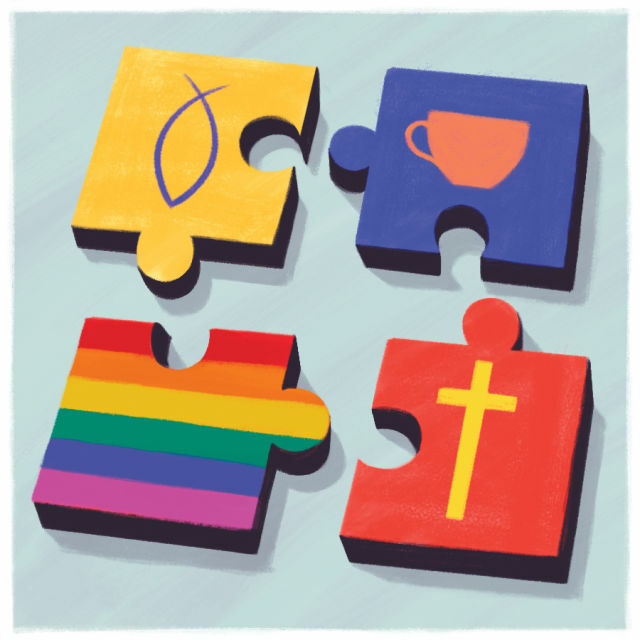 The two conservative groups comprised 55 percent of Seattle’s church starts—but James, who himself identifies as a theologically moderate and ecumenically minded Christian, was struck by how Seattle evangelicals busted stereotypes. For instance, he found that social justice work, long the domain of progressives, was in Seattle an increasingly evangelical priority too. Seattle also mounted challenges to evangelicalism’s antienvironmental leanings (think “Worship the creator, not the creation” bumper stickers) in places like Green Lake’s Bethany Community Church, where pastor Richard Dahlstrom, “the classic REI guy,” preaches about experiencing God in nature. But the phenomenon James found most groundbreaking was the fourth category: Third Places that tangibly support their neighborhoods in nontraditional ways—places like the Aurora Avenue church/drop-in “living room” for homeless people run by Awake Church, or the South End arts venue/progressive church called the Hillman City Collaboratory. One recent evening I happened into one, the chocolate cafe Kakao, near the Tesla dealership in South Lake Union. Its alter ego is Union, the spin-off congregation of University Presbyterian Church. I had come for hot chocolate but got chatting with another patron, Kristy Overton. The 34-year-old software developer with a degree from Dallas Theological Seminary landed in Seattle three years ago with her husband, an Amazon recruit. He realized that he was transgender and they reluctantly divorced—and now Overton is on her own, working in the tech industry, searching for a church that fits her unique theology. She may start one herself. As Overton spun visions of her church—a place combining a thoughtful, sophisticated elevation of scripture with the kind of radical inclusiveness that welcomes a trans lady into worship—I was reminded of what James said Seattle taught him about the future of Christianity itself. “I think it looks like a weaker institutional Christianity but potentially a more beautiful one,” James mused. Denominational ties will loosen, and the church’s institutional power and cultural influence will wane—but “vibrant and diverse communities in the way of Jesus” will arise from the void.